Fantastic home with large living area with brick kiva fireplace, 2 nice size bedrooms. newer carpet in both bedrooms installed 3/19. Tongue and groove ceiling in kitchen. 18x14 Shop with vaulted ceilings, and brick floor. currently used as a Pool room, pool table conveys. All appliances convey. Dog Run, Brick BBQ, Fish pond with Fish. Fenced Garden with raised beds. Los Altos Golf course right down the street. 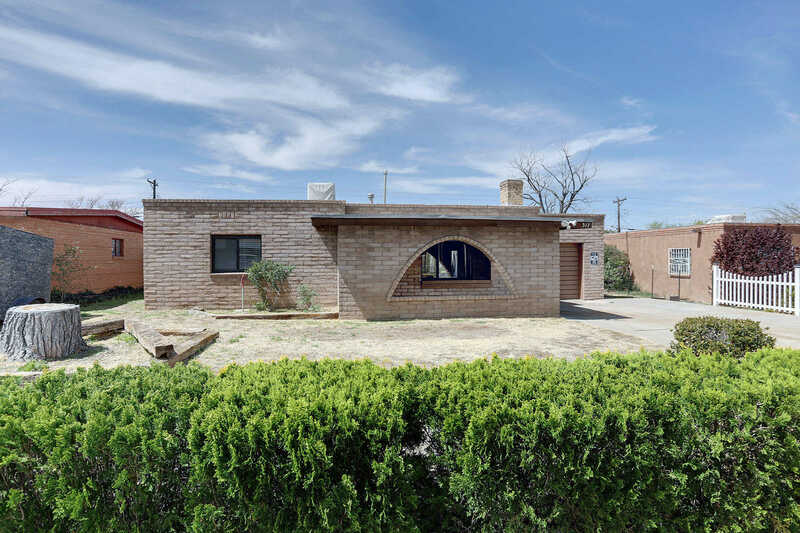 Please, send me more information on this property: MLS# 941035 – $129,900 – 317 General Patch Street Ne, Albuquerque, NM 87123.